Anyone know someone from the Linux Foundation or can help set up a mailing list for ethereum-devs that’s like bitcoin-devs (https://lists.linuxfoundation.org/pipermail/bitcoin-dev and https://lists.linuxfoundation.org/mailman/listinfo/bitcoin-dev) ? I have gone ahead and emailed the info@ email address to get started. I can also email Brian Behlendorf from Hyperledger which is at Linux Foundation who can likely help. Also, as I’ve said elsewhere, another solution would be to have this forum and/or EthResearch enabled in Mailing List mode. I know @lrettig has grave concerns about further dilution of messaging. I saw @cdili organize the Stanford meeting with manually cc’ing 60 people, which doesn’t seem ideal either. Consider this a research and discussion thread. the LF launched the “bitcoin core” mailing list at a time it was exploring playing some sort of governance role in the Bitcoin ecosystem, an exploration that eventually led to the creation of Hyperledger, and meanwhile no one’s felt a need to find a new home for that list, and it doesn’t take up much resources, but does seem a bit unusual and I’d hate to be around if a real governance or moderation issue hit. It was really a one-off though, and not likely to be done again without a really clear gap in the current Ethereum ecosystem, and a similar presumption of an eventual role for the LF in that. So aside from forums, we’d need to look for an email solution. We just had a discussion on gitter on this. 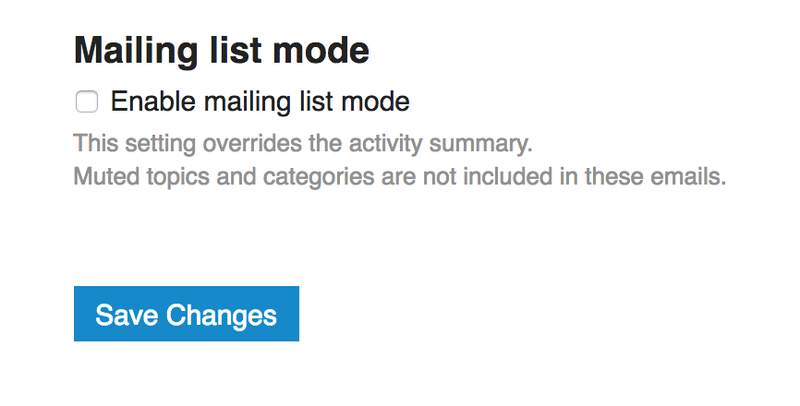 I favor a mailing list, coming from the Apache Software Foundation mode that if it didn’t happen on the list, it didn’t happen. I think that we should decentralize email lists and run them from our community Forums rather than go with the Linux Foundation, the EF, or any other traditional body. I thought that this system was running in email mode and configured an email service to make it possible. I will find out why it may not be. @chisel this gem could be something that can go into onboarding / new Magicians’ edu! Thanks to you and others for setting up this forum. But it isn’t decentralized is it? The Linux Foundation seems more robust than some community members running a forum. The fact that there is no central point of comms and control makes it more decentralized IMO, considering that there are so many other groups which can also run Discourse servers. Robustness is a concern though! Robustness without authority will come in time, with the infrastructure which the community is building. Can it ingest emails? ie reply to an email and it gets posted as a comment. That’s the part that’s not setup. There is a GitHub issue for this in the Scrolls repo. Also, should be enabled by default for new members. Unfortunately for a number of people, myself included, this just doesn’t work. I used to follow along by email but one day they stopped coming and now I can’t even get the system to send me a password reset email. @boris I’ll test that function out, also will look into setting it as a default. @ajsutton, this may be our use of Mailgun; it has blocked others before too. Perhaps I should switch to another provider, this is unacceptable. LOL, yeah this is how Greg and I arrived at Discourse. It seemed to be the best intersection between what the community needs (threaded forum), what the kids want (mobile friendly chatty social thing), what the old schoolers want (bare bones email list). 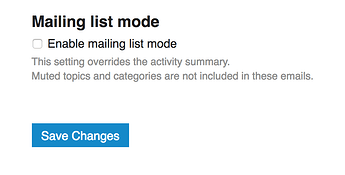 I will try to tame Mailgun, hopefully I can find where it is blocking you. @ajsutton, I found where it was blocking you. There should be a restoration of emails to you. Others affected include:@MadeofTin, several accounts at status.im, and several accounts at ConsenSys. It is likely that these were flagged due to a temporary lapse in service, which led to email bounces. Excellent, I did indeed receive this as an email. Thank you so much for looking into it. There were a bunch of ConsenSys folk accidentally deleted along with me so I suspect all those were fall out from our IT help desk having a bad day. No problem, sorry I didn’t figure this out earlier. RE: the original topic: I’m looking at the individual emails generated and sent to me, and this isn’t similar enough to a traditional mailing list. A reply in email does not work as it should, it seems as if I am required to first go to the Forum website to reply. Hopefully I can figure this one out too, but not optimistic. @jpitts I left you a reference in the original GitHub issue. It’s an old Discourse thread (from 2014) and the first link one uses POP and Gmail which is maybe not the best, but seems straightforward. There are links there to lots of other similar articles.